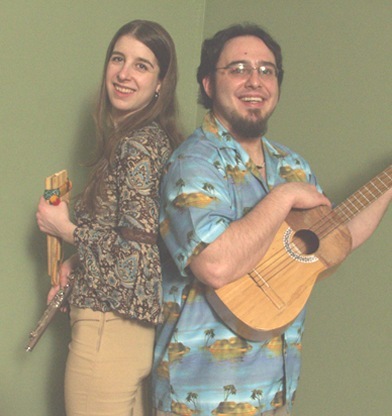 Saturday October 20 at LiveMix Studio, 1033 Quarrier St, Duo Divertido, who play classic traditional acoustic latin music, will perform at the “Party For The Arts.” The evening at the smoke-free LiveMix Studio will feature refreshments, art, and poetry in addition to the music of Beth Seggesenman and Eduardo Canelon, who make up Duo Divertido. Beth and Eduardo are also members of Comparsa, who can be seen on Radio Free Charleston episode 27, and in the video below. Eduardo can also be seen performing solo in episode 3 of RFC. IF YOU GO: Admission is $10. The performance starts at 8:30 PM at LiveMix Studio on the fifth floor of The Quarrier Building, 1033 Quarrier St. in Charleston.